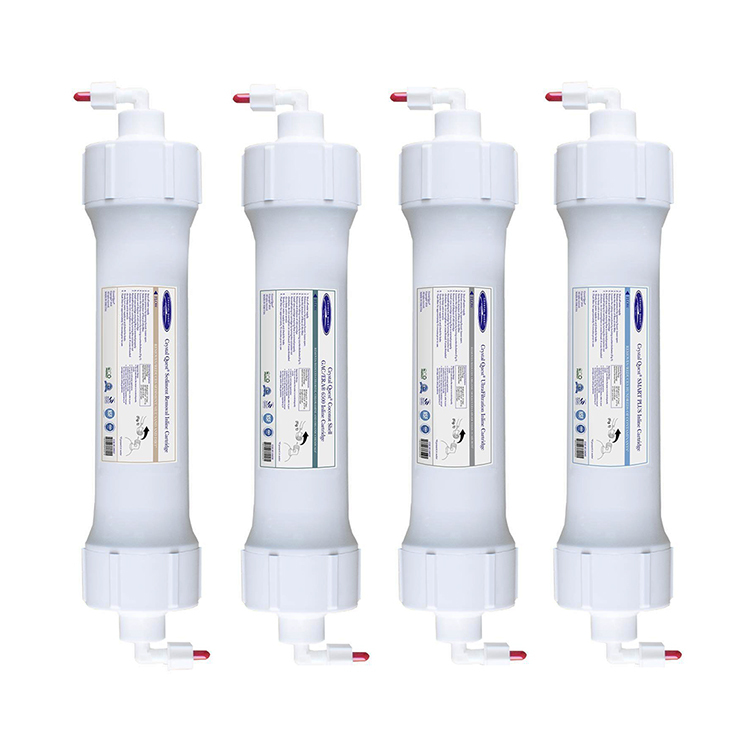 Set of 4 SMART Inline Multistage Cartridges designed to be used with Crystal Quest line of Hybrid, Sharp, Turbo and Elegant bottleless water coolers with Ultrafiltration(UF). This cartridge set includes 4 cartridges and is capable of eliminating hundreds of contaminants including chemicals linked to cancer risks. 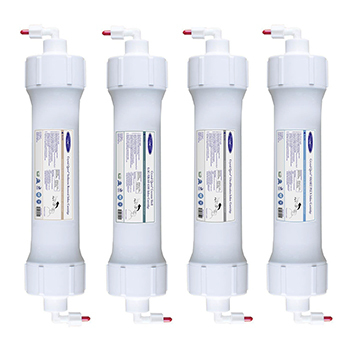 The filters have built-in connectors and can be attached directly to existing systems with a standard 1/4" line. This cartridge set is used in Crystal Quests Filtered Water Coolers. 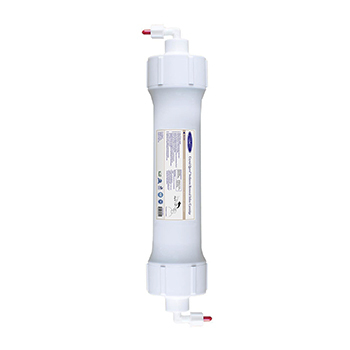 Removes cancer risk chemicals (THM's, benzene), pesticides, herbicides, insecticides, (VOCs), PCB's, MTBE's. 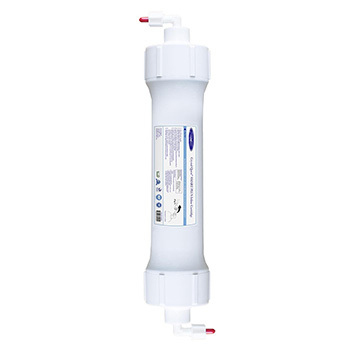 Can be used with different water cooler systems. - The In-line Filters use built in standard quick-connect 1/4" fittings.